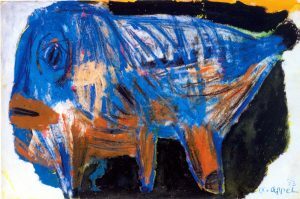 The Musée d’Art Moderne de la Ville de Paris has chosen to retrace the career of the Dutch painter and sculptor Karel Appel, around ten years after his death. Known for being the co-founder of the group CoBrA, the artist places himself far from the norms in a spontaneous and experimental exhibition, full of vitality, which focuses on the naïve and primitive forms of art. This exhibition highlights twenty-one of his creations: paintings, ceramic sculptures, major illustrations, etc. 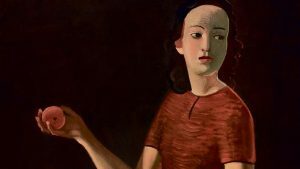 This great exhibition is exploring the relationship between three major artists of the 20the century: Derain, Balthus and Giacometti. With nearly 200 works, it recounts the highlights of this artistic friendship. Their encounter in 1933 and the intensification of their relations since 1935 will multiply the crossroads between their lives and their works. Beyond a reciprocal admiration and a true affection which they will testify throughout their life, it is a deep aesthetic community that brings them together. According to a chronological and thematic route, the great landscapes and stilllifes, but also the portraits crossed are shown: actors, collectors, friends, common gallery owners and models. Finally, there is a large sequence of post-war works in which the doubts and obsessions of a vacillating world are inscribed.